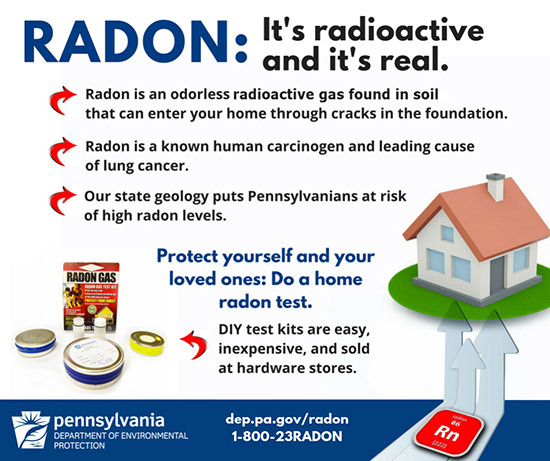 PA State Rep. Justin Walsh - Radon – Is Your Home Safe? If interested, please contact my office at 724-929-2655 no later than Friday, Feb. 15. Candidates must also apply online at employment.pa.gov in the “Summer Maintenance Program” category under the Open Jobs section of the website.